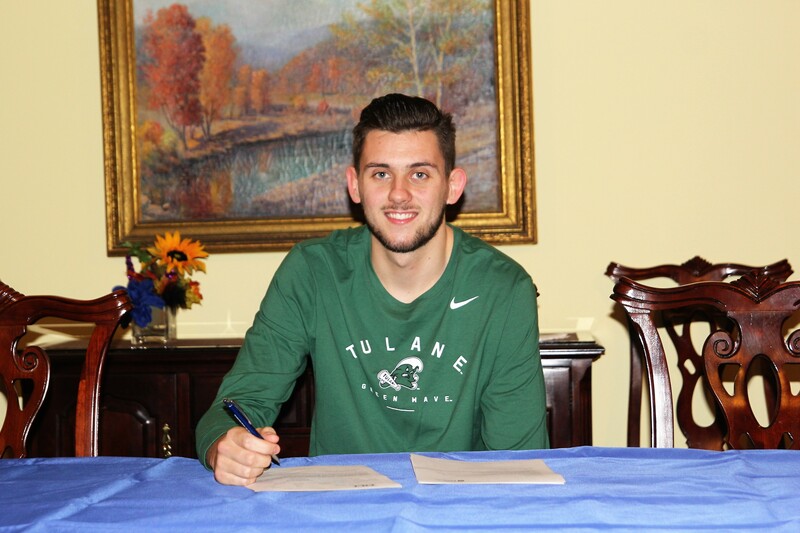 Missouri State University-West Plains Grizzly Basketball player Henri Langton has signed a national letter of intent to join the Tulane University Green Wave in fall 2019. The 6-foot, 11-inch forward from Leicester, England, signed his paperwork Thursday, Nov. 15, during the NCAA’s early signing period. Missouri State-West Plains officials announced the signing Monday, Nov. 19. Tulane is an NCAA Division I school in New Orleans, Louisiana, and competes in the American Athletic Conference (AAC). Langton joined the Grizzlies this season after playing his first year of college ball at Otero Junior College in La Junta, Colorado. He helped the Rattlers reach the NJCAA Division I Men’s National Basketball Championship Tournament last season. Langton said he is already seeing positive differences in his abilities. “Since being in West Plains, I can already see some athletic differences. Thanks to Coach Popp, I’m extremely conditioned and mentally prepared to handle the next level. Coach Popp and Coach (Ken) Moses have pushed me every day in practice,” he said. Langton gave credit to his family for helping him reach this point in his career. “I want to show the most appreciation to my family. Without the love, support, sacrifice and commitment from my mum and dad, none of this would have been made possible for me, and I will forever be grateful to them for that,” he said. For more information about the Grizzly Basketball program, visit the team’s website or call 417-255-7991. Stay up to date with Grizzly Athletics and Grizzly Booster Club news by signing up for text alerts or text “@WPGrizz to 81010.